TagMyDoc – A New Way to Share Documents, with Lots of Great History! In the spirit of the “Year in Review” stories the team at the Hard Copy Observer has been working on this month, I wanted to take on something similar for Jim Lyons Observations, and look back over my year or two’s worth of monthly columns to see what might jump out as worthy of further mention, especially where several (at the time) seemingly disparate items now fall together to form (a now) obvious pattern. And it also had an historic legacy, going back in our industry, which as regular readers will recognize is one of my favorite aspects of a story as well. It started with one of my favorite weekly features, from online tech-news source, Business Insider. On December 10, the weekly “Here Are The Best iPhone And iPad Apps You Missed This Week” by Ellis Hamburger, alerted me to the new app ScanMyDoc, and in fact had it in the second position in their coverage, right behind the long-awaited iPhone version of the extremely popular iPad app, Flipboard (see “August 2010 Observations --From the Magazine Rack and What a Difference a Year Makes!”). So much more than another QR code reader, this seemed to be a fully thought-out solution from Montreal-based Knova Web Technologies. I downloaded the app, sought out the TagMyDoc.com website and uploaded a Word document, retrieved and printed it complete with its identifying QR code, and was able to use the iPhone to retrieve it from the cloud, all in just a few minutes. I had to find out more! A good email exchange with Knova principals Gabriel Deschenes, CEO, Julien Leroux, Marketing Director of TagMyDoc and JP Desjardins, Communication Director, follows, as they responded to my questions via email. JLO: How did you come up with the idea for the solution? Knova: In a digital world, it is surprising that the process of sharing physical document is still quite tedious (anyone used a scanner recently ?). We wanted to find a way to make the paper document sharing process simpler and easier. Before TagMyDoc, here was no way of sharing printed documents with people unless you sent them to a link to a server that hosted the original file. Even with today’s shortened links, remembering any URL can be difficult since it is easily forgotten once you need to get the document. You can still share it with Facebook, Twitter, [see “Observations September 2009: Document Management with Twitter? A Start Anyway”], or email. But to open the door for real-life sharing of documents, we used the QR code to tag the documents because it is the easiest and most popular barcode in the world [see “January 2010 Observations -- From the QR Code sandbox — and will QR Codes help printing?”]. So one day we come up with an idea, lets create an app that automatically tag some documents with QR codes that link to the doc you have in the front of your eyes. That is why we built a tool to easily tag your documents and provide people with your tagged document, a public link to it and the QR code pointing to your document. With this system, people can simply scan the tag to download the docs. JLO: Do you have a few "use cases" where the solution really shines? Knova: A lot of people are doing some presentations all around the world right now. Those people have others who want the presentation documents, typically PowerPoint. Since they didn’t have TagMyDoc when needed, they had to send emails with attachments to each of those wanting it. You can expect presence in schools also, and we have a couple of stealth projects that we prefer to keep it for us for the time being. Expect partnerships, extensions to popular software and applications and further implementation of document management in your daily life. JLO: What is the future, including how do you make money? Knova: We aim to have as many users of our service as possible by making TagMyDoc the easiest way to share documents in the digital as well as in the real world. Another neat addition for Premium users is the ability to batch-tag documents. With testing from the development team, we were able to tag 150+ documents in one batch upload without any hiccups, just to show the power of the TagMyDoc platform. For the beta launch of TagMyDoc, a Premium account is only $1.99/mo and a Premium Plus account is only a buck more at $2.99/mo. We believe in micro-payments for our customers so that’s why these are incredible prices for the features you get. We plan to support the other popular Office application, Microsoft Excel [in addition to the “coming soon” Word and PowerPoint add-ins]. Tagging Excel files will be very easy. An added benefit of Excel is that you will be able to specify the cell and column of your tag instead of selecting between corners. We plan to make further integration with ScanMyDoc, our QR code scanner, the fastest one in the App Store. 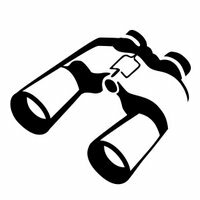 JLO: Do you have plans to work with other cloud storage sites or document repositories (Scribd comes to mind – see “Observations May 2008 – Scribd, the YouTube for Documents?”)? Knova: TagMyDoc’s primary use is to tag documents as mentioned. Because of wanting to keep track of your documents, it became a hosting service as well. It quickly became more important for us to make this a hosting service without neglecting the tagging that goes on, so we added features like folders for organizing your documents, sharing documents, sharing folders, deleting documents and folders, renaming folders, password-protecting documents, settings, batch uploading, versioning of documents. Because people see Scribd, Dropbox, Box.net as a general file hosting and sharing service, we can’t say that we are in the same space. But we are already being approaches by some of those to add the TagMyDoc solutions to their applications, so for sure we are looking for a partnership but waiting for the most valuable for us and the other companies. JLO: Are you familiar with past efforts in printing/document management that have inspired or offered "how not to do" insight (Xerox Smartpaper comes to mind in this case)? Knova: Yes, we took a look to previous inventions that were done in the printing/sharing documents industry. Especially when you’re making a patent, you have to look to the art within from other patents in your domains. So then we knew about what was available before TagMyDoc and how it is different from the others’ inventions. The things we always founds with other inventions such as Xerox Smartpaper, is that there was a big education of the market to be done, people need to act in a different way and buy other instruments to benefit from the inventions. TagMyDoc use technology such as QR codes, which is the most commonly known and used 2D tag, it also depends on Smartphone and cloud computing. 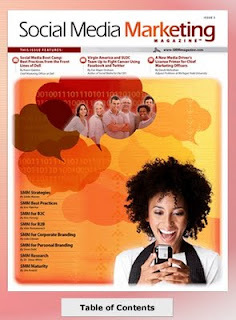 To benefit from TagMyDoc, we wanted peoples to use technology that they already know and use and most importantly, like! At the beginning we were thinking about creating 2D tags that can be only read by our own QR reader app, Scanmydoc. But we judged that this was a “how not to do it” way, even if we would have more Scanmydoc users by now. We are thinking long term and this way it is making this app easy to use and practical for everyone. As of two weeks following the Business Insider review, the ScanMyDoc app still has not warranted a user rating or review, but as the Knova executives acknowledged, these solutions take some time for education and awareness, even in the case of building upon existing standards. It is an appealing solution to me, if only because it incorporates some many technologies and solutions I have covered in the past several years. It is also interesting in revealing changing industry priorities – for example launching the smartphone-based solution first, with the Microsoft Office versions to follow – not something that would always have been the case! It will be interesting to keep an eye on this firm and its apps/solutions to see how things develop! November Observations: The Lasting Power of a Good Strategy…Or Two! Observations: The Lasting Power of a Good Strategy…Or Two! [November 29, 2011] This is a story—actually two stories—about networking and the staying power that results from good strategy development. This combination led to one of my personal career highlights of 2011. The series of events, between coincidence and sleuthing, ended up leading to some much longer range reflection that resulted in some gained wisdom, at least as I see it, that is worth preserving and passing along. This past summer, I sat through an interesting presentation about the “future of work” and its implications for higher education. The webinar and the included materials were the result of work by the research branch of my employer from the education side of my life, the University of Phoenix, where I teach undergraduate- and graduate-level marketing and economics. Our Palo Alto, CA-based research group, with collaboration from Stanford University and the Institute of the Future, had produced the study, the first in a series actually. As my colleagues and I sat through the presentation, the proverbial light bulb went off in my head as I focused on the presentation graphics—I had seen this formatting somewhere before. Post-seminar, I had to know if the slides were the work of David Sibbet and Grove Consultants International, who had served me and my team (dubbed the BLAST team) so well in 1994, when in the middle of my 25-year HP career, I led a team ruminating on and recommending plans for the future of the printer business (see image below). 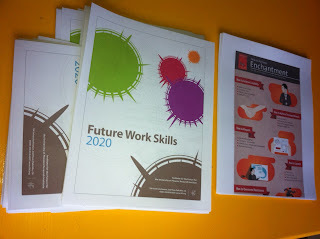 An e-mail to the head of the Phoenix research group confirmed the graphics work had been led by the Institute of the Future (another consulting firm familiar to me from HP days but not from the particular project I had in mind). 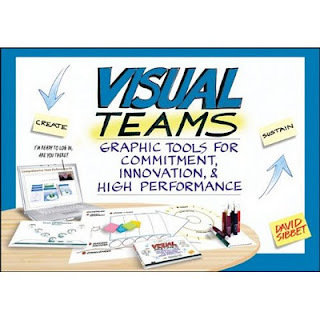 Some digging around with Google and then Amazon led me to Sibbet and a book he authored in 2010, titled Visual Meetings, with back-cover blurbs from Institute of the Future sources, so the trail was really warming up. Then finding my long-ago colleague on LinkedIn, I had a direct connection to at least satisfy my curiosity and potentially revel in the “small world” nature of having the same consultant working for a present employer as well as a previous one, nearly two decades prior. The wait for a reply allowed me to go back to that 1994 effort with a talented, eight-member cross-functional team I had the pleasure and honor to lead, with great top management backing and interest. Over two months, and with the help of Sibbet and his magical “graphical facilitation” process (as well as other experts, both internal and external to HP), we came up with a meaningful historical perspective (on what was then the ten-year history of LaserJet) and blending that with developing trends in the broader market, came up with some recommendations for our business and its direction for the next ten or more years. Though easiest to remember, I recalled that the strategy development was not just about the charts and graphs, although the oversized charts were invaluable communication tools in their final form. Rather, the many intermediate steps over the course of two months that involved the eight team members and many experts contributed to the foundation of the recommended strategies. With the internal experts’ input (and resulting buy-in), the recommendations were more-or-less “pre-sold” because they were the result of the collective process and not an “out-of-touch” external team of consultants. 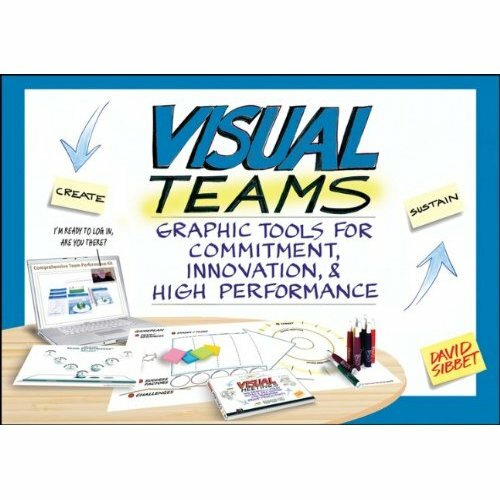 As those thoughts began to galvanize for me, I got an exciting reply from Sibbet: he remembered me and my team and we just happened to be the subject of the first chapter in a new book, this one titled Visual Teams, that he was in the final stages of writing. Sibbet subsequently asked if I would mind looking the draft over and adding some edits/additions. Though I left HP a little more than six years ago, today, as senior editor for The Hard Copy Observer and with a close eye on the entire printing and imaging business and special attention on its perennial leading firm, HP, I felt very qualified to participate in the editing process and contribute to the content. Sibbet had done a masterful job in recalling the strategy development process flow, and I was able to add precision to the set-up (i.e. why was the BLAST team commissioned?) and the outcomes (i.e. what were the recommended strategies and how did they fare over the test of time?). Even e-books were emerging on the horizon, with a little careful examination, and I remember we used a text copy of Project Gutenberg’s “Autobiography of Benjamin Franklin,” stored on a 3.5-inch floppy, to make the point that centralized printing, the model we coined “print and distribute,” was giving way to a “distribute and print” alternative. Beyond the technology, we also saw that corporate customers of HP printers were a different category and that the services side of things should be prioritized—the message was not just all about the best new products but rather providing a stable printing environment. We also helped flesh out, based on work at HP Labs and some other colleagues at HP’s Imaging and Printing Group (IPG), a “paper pie” that showed how a small, single-digit percentage of print was actually being done digitally and that a huge opportunity existed to capture traditional printing moving to one or another form of digital. Fast-forward to 2011, and HP’s current printing and imaging strategies are very solidified around 1) printing content from online and mobile sources, 2) managed print services, and 3) the graphics-arts opportunity based around the analog to digital conversion of print. With a liberal interpretation of what the BLAST team came up with in 1994, those trends are very consistent with our recommendations after a two-month collaborative process. HP’s strategy at the end of 2011, as expressed to Lyra Research (and others) at the firm’s HP Analyst Immersion Event in October, is based on four trends. Today’s strategists at HP are seeing much of the same, although more fully developed, of what we saw at the beginning of 1994 and are vigorously pursuing many of the same strategic initiatives we recommended. Does that mean that these trends are “old hat” and not the right ones? On the contrary, at least from what I see, these trends are the right ones. To go one better than our 17-year strategy span, none other that Sibbet himself just blogged about the 23-year-old iPad strategy, based on a recent Forbes piece (click here). But back to the book, which came out in October and even includes a box with a “Note from Jim Lyons” at the end of the first chapter where I express a version of what I have recalled here, about how the Personal Press and Corporate Printing strategies from 1994 live on at HP in 2011. While I continue to post here, at least monthly, and also direct my tweets this way as well, I also am a regular contributor at the Lyra Insider blog, including this post from last week, on the first of the end-of-the-year awards and Memjet's honor. October Observations: Steve Jobs Invented Desktop Publishing…and Photo Books too? [October 28, 2011] Recently, The Lyra Insider blog included a brief reflection on Steve Jobs and his impact on the printing and imaging business (see “The Onion Brings Printer Biz into Steve Jobs Resignation Story”). Now, further reflections on his contributions and quirks following his death on October 5 seem appropriate, especially in light of all the attention following the publication of Jobs’ new biography. Some personal and second-hand memories bring his passion and understanding to light in a very industry-specific way. According to the new authorized biography, Steve Jobs, by Walter Isaacson, the legendary and recently deceased Apple CEO can take credit for revolutionizing six or maybe seven industries (the “maybe” being retail). Included on the list, as mentioned during Isaacson’s October 23 appearance on the American television show 60 Minutes and in the early pages of the book, which was released Monday, October 24, is digital publishing. While as a printing insider, I might refine that to desktop publishing (and in fact thought that was what I first heard during the live viewing of the show), that difference really might just come down to semantics. Along with the other industries on the list, like music, animated movies, and personal computers, desktop publishing is probably too fine a cut. After all, “DTP” as we called it back then really did ripple through and help change the whole of digital publishing and along the way, helped make the Macintosh a virtual standard in that industry. The desktop publishing revolution goes back 25 years now (see “The Greatest Printer Story Ever Told”), and Steve Jobs’ influence during those heady early days was clear. Launching the original solution, which included the Apple Macintosh, Apple LaserWriter printer with Adobe Postscript, and Aldus PageMaker, Jobs along with his lieutenant John Scull (not to be confused with then-future-CEO John Sculley) were tireless lobbyists for DTP and its ability to transform publishing workflows. In the process, Jobs and Scully probably saved Apple and helped create a larger industry with beneficiaries like HP and Microsoft taking the solution (or perhaps a lower-end version of it) to the masses. Following his passing, much has been made of Jobs and his “standing at the crossroads” of technology and the liberal arts, and the DTP revolution speaks volumes to that. This movement required an understanding of the full complement of technology required—the classic example (beyond the obvious Macintosh and laser printing) being Adobe PostScript’s scalable type, along with the sensitivity to style and design that was a Jobs trademark. (His passion for typography also comes out in his famous Stanford commencement speech and his discussion of early training in fonts and typefaces.) Then came Jobs’ skill as a marketer, with the strong positive push that got the world excited about the power and economies offered by DTP beginning in 1986…and his frequent trashing of HP as offering a second-rate solution. A more recent Jobs innovation involves the Macintosh and Apple’s iPhoto application, originally introduced just as digital photography was hitting its inflection point a little less than ten years ago. This initiative was part of another marketing push by Apple, which was looking to define another “killer app” (PageMaker may have been one of the first) and in the process help sell more Macintosh computers, which Apple did. As part of the value proposition, iPhoto could help you organize your digital photos and create on-screen slide shows, plus the software included the ability for users to order a photobook—a professionally bound, hard-copy volume that would be produced off-site and shipped in a few days to the user. The photobook was a big part of the marketing campaign (including television commercials) that brought joy to anyone from the hard copy business that happened to notice them (me, for one). Apple continues with iPhoto today, and version 11 still prominently features this photobook capability. Similar to DTP, others have followed suit, with photobooks being one of the bright spots in digital photo printing and retailing (see “Observations: End of Summer 2011—Getting Those Memories Organized via Photobooks”). The more interesting, Jobs side of the story comes in, though, when he personally got involved with a photobook quality issue, in the case of a very prominent customer complaint, in 2002, as remembered by Bill McGlynn, who is a former HP senior vice president and was head of the Graphics Arts group for HP’s Imaging and Printing Group (IPG) at the time, a group which included the then-recently acquired Indigo digital typesetter product line. (McGlynn is now president of Memjet Home & Office.) The Apple CEO, with his characteristic passion for design and quality, got right into the middle of a quality issue. McGlynn remembers the 2002 conference call he was summoned to, along with his boss, Vyomesh Joshi, who remains head of IPG. “We had a magenta color shift issue at the time, especially on the older (TurboStream) machines, and Jobs wanted to know how we planned to fix it,” McGlynn continues. He remembers, “Steve even warned us, as he was in his car, returning from a dental appointment while taking the call, that he was likely to be in an even more cantankerous mood than normal.” McGlynn remembers an irate but passionate Jobs, and in the end, MyPublisher got a new (HP Indigo 3000) machine, McCartney got replacement books, and another Jobs story was born. How much Jobs had to do with the very latest Apple print-prominent solution, he firm’s “Cards” app announced with the iPhone 4S on October 4, is not clear, but Jobs’ secretive side was evident with respect to our query made to HP regarding which presses are being used to print the cards. The app itself, only available recently, is a very “light” app so far, offering 20 or so card styles in a limited number of categories. Users have the ability to send a physical greeting card, customized and mailed conventionally (from Apple’s publishing vendor), to the recipient of their choice (see “Life Imitates Art”). When we asked about Apple’s choice of print vendor (and HP’s digital presses) this time, a current HP vice president became a bit flustered, commenting on how secretive Apple can be, but he assured us, with a virtual wink at least, that “the finest quality digital press available” was behind Apple’s latest hard-copy initiative. Is the HP Indigo press still behind Apples latest hard copy initiation, Cards? So from DTP to iPhoto to Cards (and we shouldn’t forget AirPrint), the Jobs legacy lives on with Apple and the firm’s all-important role in the printing and imaging industry. For this and everything else, RIP Steven Paul Jobs. [September 27, 2011] A quote like, “There will always be a need for hard copy, no matter what,” just cannot help but make someone perk up their ears and take notice, at least if that person is in the printing and imaging industry. This situation is just what happened to me the other day, when I was half-listening to the radio, with the other half of my attention focused elsewhere, during an interview on National Public Radio’s (NPR’s) Morning Edition. The host, Steve Inskeep, was talking to the United States Postmaster General, Patrick Donahoe, about some of the troubles that his organization, the U.S. Postal Service (USPS), has been facing lately. Donahoe currently holds the top position (how cool to have a job formerly held by Benjamin Franklin, among others?) in what is now described as an “independent agency of the U.S. Government,” and his personal story about starting his career in a lowly mail-sorting position is inspiring. But he has a far bigger challenge these days, compared to figuring out those hand-scrawled zip codes at the beginning of his career. As has been well documented in the news recently, the U.S. Postal Service is facing huge deficits and dealing with the same issues as so many other businesses, like lower demand, higher costs, and labor unrest as the result of potential layoffs, not to mention the local-office closures which seem to so often bring out the NIMBY (Not In My BackYard) response among local citizenry. Direct marketing levels are also tied to economic activity, of course, and we often hear about bulk mailing as the real cash cow for the USPS. This segment is an area, too, where we see innovations in our industry (and indeed, reported right here in the Observer), that offer more efficient, more personalized approaches to this category. And while the NPR interview did not get into that side of things, Donahoe discussed other points about innovations and opportunities. Is the USPS really an innovative organization? Actually, we do not have to look too far within our own world of desktop printers to see recent innovations that the USPS developed via its own technology and with the cooperation of other firms to bring convenience to customers by letting them take more control of the printing involved in postal services. The USPS’s “click and ship” solution (***see illustration) has been available for at least a decade, arrangements with creative start-up companies like Stamps.comwww.stamps.com have endured over even a longer period of time, and more familiar partnerships include Adobe and HP. The broader printing and imaging industry can certainly relate to the USPS’s dilemma in dealing with changing consumer habits and the ongoing encroachment of alternate technologies, which is mindful of the old marketing myopia example of the railroads forgetting they were really in the transportation business and clinging to the notion they were all about trains. There are vital lessons here for all of us—and after learning much more about the USPS, especially in reading about its colorful and patriotic history, I must admit I am pulling for them to succeed. Jim is a regular contributor of news and analysis and the author of a monthly column, Observations, for The Hard Copy Observer, a publication of Lyra Research. He also blogs and tweets on developments in the printer industry. In addition, Jim is a faculty member at the University of Phoenix, teaching marketing and economics in the school’s MBA program. Past columns, links, and other musings may be found at http://www.jimlyonsobservations.com/. Follow Jim on Twitter, @jflyons. [August 18, 2011] Like me, you may be hard pressed to believe that we are getting near the end of another glorious summer. Hopefully though, at least for many of us, now is also the time to look back on some great memories and perhaps do something about making those memories—many captured in digital pictures—a little more tangible and long lasting. The good news? That minority who actually take action to turn those organizational desires into reality and actually create the books will find that today’s many popular photobook vendors promise the opportunity to do so fast and easily, for a price, of course. As an interested user, dedicated digital shutterbug, and occasional procrastinator, I pushed myself to take the chance to try out three different solutions from three well-known vendors as a paying customer, and in this column, I will share some of my results. First, though, a little industry perspective. Although not quite the “hot new thing” in the overall printing and imaging industry, photobooks and their kin have certainly risen to the top of photo-printing discussions during the last few years. As the number of basic 4 × 6-inch photo prints has declined, whether through home printing or other means, photobooks (and their proportionately higher revenues and profit margins) have been seen as somewhat of a savior for at least some segments of the photo business. For example, at the Lyra Symposium this past January, Steve Hoffenberg, director of Consumer Imaging Research (CII) and senior analyst for Lyra Research, summarized this hot product category, noting that photobooks are a booming market, with more than 50 million photobooks produced in 2010, a figure that is expected to grow to more than 90 million by 2014 (see “2011 Lyra Imaging Symposium: The Gloom of the Recession is Replaced by Excitement Over Cloud Printing, Commercial Ink Jet, MPS, and More”). So photobooks are big business and definitely worth my participation and observations. Not quite by design, I ended up with three photobook projects recently, and beyond two summer-vacation-photo efforts, the third one deserves at least an asterisk as a bound book of my first five-and-a-half years of Observations columns. This project, while developed via the same process and with a similar price, is the exception to the other two that contain the more typical pretty photos and captions. All three projects were created from relatively long-established companies in the industry. From Blurb, I designed a book comprised of a collection of cool photos to commemorate a summer visit to the home city of my sister and brother-in-law, and the one-of-a-kind classic car exhibit where my brother-in-law was chief docent. The book turned out great, despite “low resolution” warnings during the final pre-order stages. Assuming he is not a regular reader of this column (no worries), brother-in-law Dan will be pleasantly surprised come holiday time when he unwraps this photobook with all its memories of vintage cars, his passion. Next from Shutterfly, my wife and I collaborated from afar with another couple who had converged with us at the resort-area home of a third long-time acquaintance in a reunion of graduate school friends who go back decades. Our host, seemingly the “man who has everything,” is a big collector of coffee table books, so the choice to thank him with a personalized commemorative book from the memory-filled weekend seemed like the perfect choice as a token of our appreciation for his hospitality. Additional copies made nice keepsakes for us and the other couple, too. The book, indeed, was the perfect thank-you gift, as it turned out. Lastly from SharedBook, my urge to commemorate my first five years of Observations columns (published by Lyra Research as part of The Hard Copy Observer and in my blog) lent itself to that vendor’s blog-friendly format in terms of ease of production. Admittedly a “vanity” project, this effort satisfied my desire to answer the question, “Wouldn’t it be fun to see all my Observations columns in a book?” Like many of you out there, I am a long-time “wannabe” book author, and it was a revelation to realize that I have written enough column material to make up several books, so why not create one? SharedBook made the project easy and relatively inexpensive, and having a book of my work lying around the office cannot be all bad for creating an impression on prospective consulting clients. Actually while the excitement involved with each of the three projects would lead one to believe this is “early adopter” stuff that usually gets me going, in many ways this process is old hat. 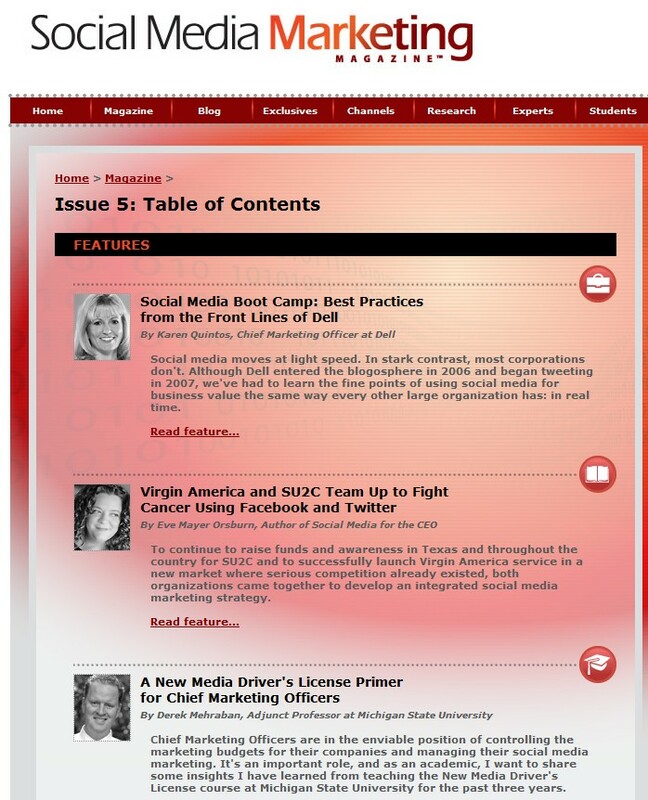 I originally covered Blurb’s launch from the Demo conference in 2006 (click here), and SharedBook followed them in early 2007 (click here). Shutterfly has been around much longer. As a marketing professor (and student), I should examine what led to my brand choices. My selections, handily spread out over three suppliers, were driven by a variety of factors. SharedBook has effective e-mail offers, and one that I received (for something like 15 percent off and/or free shipping) caught my attention after my collection of Observations had hit what I considered critical mass (five plus years). Shutterfly was our friends’ choice—they had the lead on the book creative—as the service with which they were familiar. (In our family’s case, that choice probably would have gone to Snapfish, again based on tradition.) And Blurb? They participated in an enticing Groupon offer that I snapped up and banked earlier in the year, knowing I would want to do a photobook of one sort or another soon enough. All the books are very satisfactory, as is the pleasure gained from putting together your own photobooks, and I recommend the services that produced them. While pricing is hard to compare, one firm does not seem to have a particular edge (though look for frequent “deals” and other offers from all of them), and quality and service levels, including communications and speed of fulfillment, seem quite good in all cases. These projects were not my first photobooks, and while I cannot see myself making a regular habit out of creating them, these three will not be my last. One final observation as I thought about the photo content in these books, compared to past efforts: virtually all the photos, even in the collaborative one, were taken with a standard iPhone 4 camera. I would hate to be in the standalone digital still camera business these days! And my next project—getting back to that early adopter thing? I am quite intrigued by the newly emerging Instagram photo books! [July 29, 2011] In these days of seemingly ever-growing and changing social media platforms and behaviors, with micro-second attention spans and the attempt (demand?) to say everything that needs to be said in 140 characters, where does that leave the old-as-time oral tradition, and what about good old-fashioned, around-the-campfire-style storytelling? This question has long interested me, especially the contrast between the impact of today’s technology on human communication and deep-in-the-DNA human nature. And I have lots of company, with a surge of interest in storytelling throughout the country inspired by such favorites as Public Radio International’s This American Life, hosted by Ira Glass and heard on many NPR stations, and the New York-based The Moth story-telling group and its corresponding live events and podcast/radio show. I personally have become involved locally with a Boise-based group that hosts monthly “performances” (Story, Story Night) and workshops (Story, Story Studio), and from the look of things, these types of activities are sprouting up in communities all over the country. While much of the interest in stories is universal in nature (with themes about such matters as love, life, and loss), the important role of storytelling in business has not been lost. Many advertisements attempt to “tell a story,” for example, and strong company cultures are often reinforced by in-house storytellers. We can all recognize that the printer industry has many memorable stories, which prompted me to explore some of the fundamentals behind what makes a story great, and then take a look at a few tales that come to mind as among the greatest printer stories ever told. Peter Guber, of business fame, has authored a book, published earlier this year, Tell to Win: Connect, Persuade, and Triumph with the Hidden Power of Story, which is a much-expanded version of his Harvard Business Review article, “The Four Truths of the Story Teller”. (By the way, one of my favorite professorial pieces of advice these days? In a case like this, start with the article. If you end up wanting more, there’s always the book, but six pages—rather than 200 or more—might just be enough. And more and more, I suggest looking for the TED video first.). With this premise, Facebook, Google+, Twitter, and the rest are seemingly just new ways to tell old stories. While my research was very helpful in understanding what makes a great story as told by an individual and perhaps how I can seek to master or at least improve my personal storytelling, my quest to identify great industry stories goes beyond individual storytellers to the legacies left by some of our most dramatic game-changers. One can see that Guber’s “truths” about what we collectively believe as far as the role of our business—past, present, and future—apply to each of the three stories I offer. Left to the individual, each can be embellished and honed to fit his or her audience, but let me throw three basic ideas out there for my greatest industry stories. 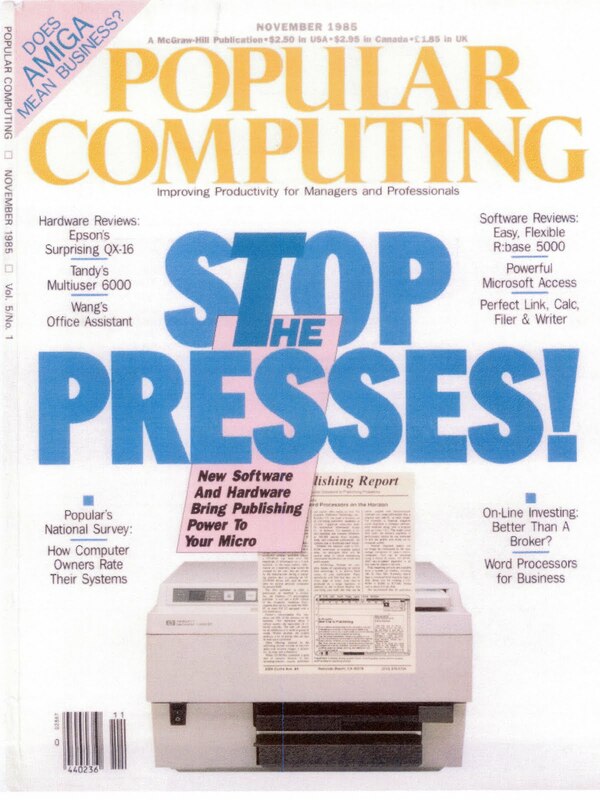 Mid-1980’s – Introduction of Desktop Laser Printers and The Birth of Desktop Publishing. One can argue that these innovative printers from the likes of Apple, Canon, and HP (and the fascinating tale of “coop-etition” among these vendors), along with the supporting cast of computers, operating systems, and applications, changed the face of printing and publishing, and information dissemination, forever and brought “killer app” success to graphical user interfaces (GUIs) on Macintosh and Windows computers that are so pervasive today I can hardly remember when they were new and novel. 1990’s – Upstart IBM Spinoff in Kentucky Becomes Lexmark, Challenges Industry Dominance by HP. Having celebrated the 20th anniversary of its original (and IBM-originated) 4019 LaserPrinter in October 2009, Lexmark continues to be an industry stalwart years after the company’s exit from IBM and eventual “declaration of independence” under the Lexmark name. The firm, like so many others, has had its ups and downs, but Lexmark’s challenge to industry-leader HP is ongoing…and the stuff of legends. 2000’s –Ink Jet Printers from Out-of-Nowhere, Memjet Threatens to Put Mega-Billion Industry on Its Head. The stir in the industry caused by Memjet’s dramatic entry onto the printing stage in 2007 has to be among the industry’s greatest stories. Lyra’s own Charles LeCompte made the case. “I’ve been following this industry for 20 years, and I’ve never seen anything of this scale: 10 times faster, 20 times cheaper, all at once.” LeCompte was quoted by PC Magazine (see above) and similarly in many other articles. After fits-and-starts associated with “the last mile” of commercialization, Memjet printers—first of the industrial variety and more recently home-and-office oriented—have just begun shipping in the last year, and their disruptive potential remains an open question. So, readers, what do you think? Is one of the three stories I have included here the greatest in the history of our business, or do you have one of your own? Please comment below, or better yet tweet with your ideas. And keep telling those stories! [June 29, 2011] These days we are accustomed to accepting that definitions are changing—once familiar, comfortable terms that evoked physical objects, like “books” and “magazines,” now have a much more fluid meaning. Huge and growing categories like ebooks and iPad-based ezines have taught us that these terms are more likely to be thought of as virtual receptacles of words and images, which may or may not ever take a physical hard copy form. And of course the “may not ever” part of the equation seems to be winning the day, more all the time. 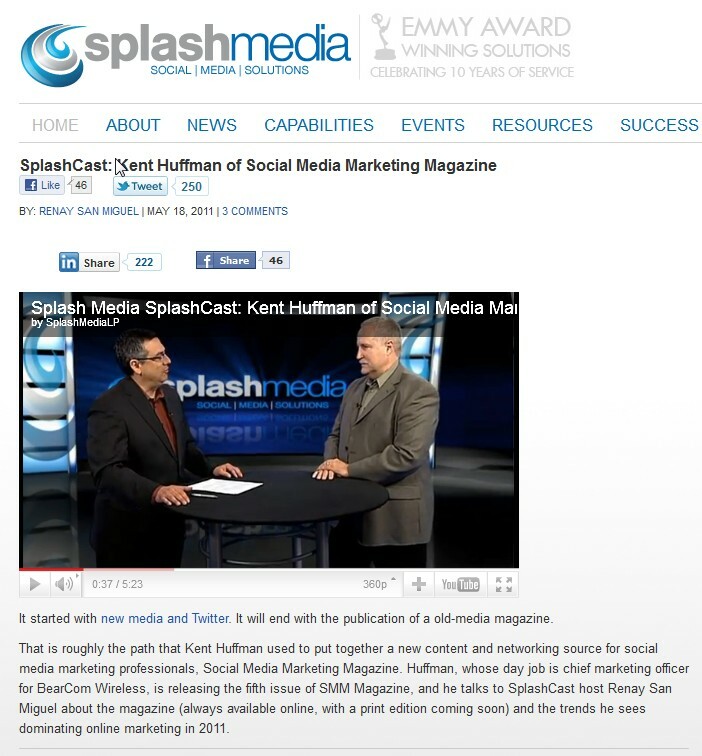 I first became aware of Huffman prior to his launch of the magazine when I received an e-mail from him in July 2009 that asked my permission to be placed on his list of “top marketing professors on Twitter,” which was posted on his “Systemic Marketing” Web site, a precursor to the current SMMmagazine.comhttp://www.smmmagazine.com. Shortly before contacting me, Huffman had started this list by identifying marketing professors on Twitter and ranking them based on their number of followers. 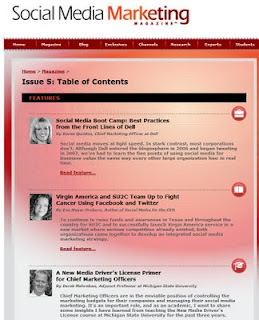 (Huffman also compiles lists of Twitter-ensconced authors of marketing-related books and his fellow CMO’s who tweet.) I was pleased and flattered to be number 17 (out of about 30) on the first list on which I appeared (based on about 500 followers at the time). The lists (along with overall Twitter participation, of course) have expanded greatly since then, and while I remain on the list of marketing professors, I am now grateful to cling to a spot near 50 (with my 2,000+ followers), out of the 100 or so marketing professors worldwide who tweet at a certain minimum threshold (click here for the most recent list). Huffman’s publication, Social Media Marketing Magazine (on Twitter at @SMMMagazine), launched earlier this year (with co-publisher Chuck Martin, @chuckmartin1) as an online-only publication and covers the use of social media—Facebook, Foursquare, LinkedIn, Twitter, and YouTube, for example—in the broad field of marketing and their ever-growing importance in a myriad of marketing applications. As far as the magazine content itself, the members of those aforementioned lists provide great sources for contributors of material, and in addition to more traditional magazine articles, a series of guest blog posts are added at the clip of about two per week (and including one so far by yours truly). But despite content and format that lend themselves to the online-only world, Huffman sees print versions of SMM Magazine developing in the near future. We recently talked to Huffman to get some insight on this move into print, which brought to mind other recent Observations columns on counter-trends such as The Printed Blog (see “The Ultimate Countertrend”http://jimlyonsobservations.blogspot.com/2009/04/observations-ultimate-countertrendthe.html). Huffman admits that printed magazines seem to constitute, in his words, an “old school” approach, especially in today’s fast-changing world of social media, and notes, “The material in the magazine would seem to be changing too often to consider doing in print form. Actually, though, print offers some unique value to our readers, and the solution is ‘in the middle’ somewhere.” Huffman originally set up his online magazine so that readers could print it themselves, at first only in HTML and then as a PDF, but he did not rule out actually going to a print version. As a bit of an aside, but offered as a comfort to readers who have tried Twitter, but still have their questions about it. What about the view from close-up, to one of the masters of Social Media Marketing? Huffman, like many of us, finds Twitter to have its frustrations, but also an allure that makes it impossible to ignore. “With Twitter, there really is just too much information, and it can be overwhelming. But on the other hand, Twitter is so valuable that it's worth the effort that's required to dig through the pile to find those important nuggets of information.” I concur! I like that definition, and I like thinking about having magazines in print, at least some of the time. In a fast-changing and tumultuous world, it is indeed nice to have some things back as part of the physical world. For the last month or so, I have had the opportunity to use a prototype Memjet home-and-office printer, first in my downtown office, and then more recently in my home office. While not a rigorous or official, full-blown evaluation or review, I have a number of observations about my printing experiences that I would like to share in my May 2011 Observations column. I will also offer a little marketing advice for the somewhat mysterious almost mythical company that sprang onto the industry scene in 2007 from Down Under (originating from Australia’s Silverbrook Research) with a formidable threat to seriously disrupt the printer industry. In the full disclosure department, Lyra Research and the Hard Copy Observer were among the earliest in the industry to be on the Memjet story and have followed the company’s somewhat circuitous march to market with great interest ever since. For me personally, prior to be being employed by Lyra, I was an independent consultant and did some marketing work for Memjet in its very early days. Also, like with many other companies in the industry, I have a number of friends and acquaintances currently employed by Memjet. Getting hold of an evaluation unit, however, was more of a personal favor on Memjet’s part combined with curiosity on my part about what it would be like to have this oft-discussed super-fast printer at my immediate disposal. What would I think, and would the printer’s performance change my behavior relative to what I print and when? As far as the charge for the marketing advice to Memjet and its go-to-market partners, this time—strictly gratis! I received the previously used prototype unit via the Eagle, Idaho-based Home and Office division of the San Diego-based company, and this machine already showed 35,000 pages printed on its “odometer,” which came via standardized out-sourced reliability testing prior to my use. So my unit is a bit of a scratch-and-dent model, which I found I appreciated—much like I have learned with buying a car, as I have often remarked that I would rather start with a year-old, “pre-dinged” model because that first little flaw incurred in a brand new car can be so emotionally painful. Memjet’s original promise of delivering 60 ppm color printing to the home and office for $200-$300 has morphed into a machine that offers the same breakthrough speed but at a price point that is multiplied by a factor of two or more. Note that Memjet has not identified any U.S. partners, and of the firm’s Asian and European partners, only Lenovo in China has published target per-page costs of 0.1-0.15 Yuan (2 cents) for monochrome and 0.3-0.5 Yuan (6 cents) for color, compared to color laser printing costs of 10-15 cents for a color page and 1-2 cents for a monochrome page. Early indications on hardware pricing for the Lenovo RJ600N point to a range of $770 to $925 in U.S. dollars. During the last decades, unlike in semiconductor-driven areas, like computer memory and processors, printers and their technology curves have remained somewhat constrained by factors in the physical world. The speed of drying ink and melting toner and the physics of moving paper comprise some of the factors that work against a pure Moore’s Law progression among printers. So we do not see the many-orders-of-magnitude changes we have seen over the decades with processors or storage. Nevertheless, if Memjet can deliver on even its revised price/performance goal, the impact to the home- and office-printing market could be significant. Unquestionably, having the Memjet printer has increased my interest in printing. I have enjoyed printing full-page photos (and confirmed the company’s advice that media type is a huge determinant of photo quality, as with every other product in the industry). 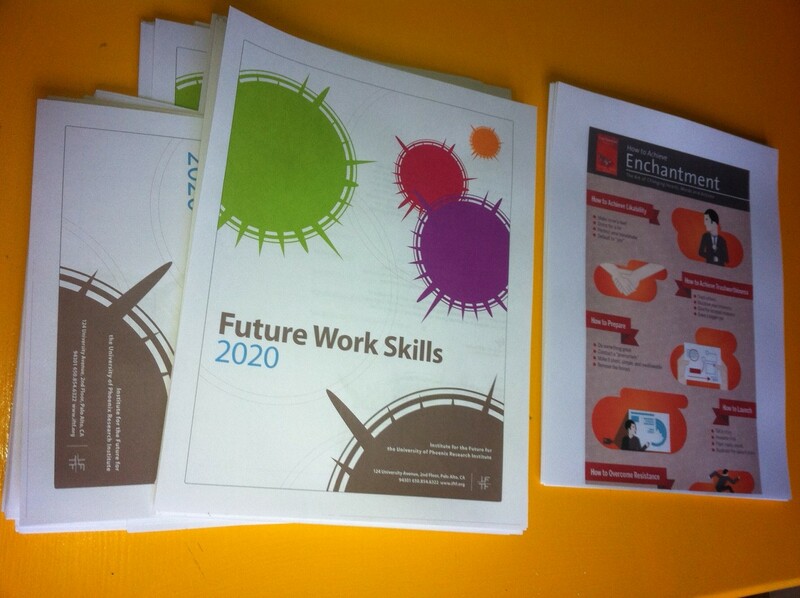 I print articles and book sections for my teaching work and have also had good results printing from my Apple iPad using EuroSmartz Ltd’s Print n Share (see “Observations: Interview with Ian Schenkel of EuroSmartz”). However, my most positive or at least most dramatically positive experience with the printer came one morning a few weeks ago. I was running behind, getting my final presentation materials in place for a university-based event where I was lecturing on using social media for marketing. My handouts, based on my slides, were the last thing I needed on the morning of the presentation, and I was at least 30 minutes behind schedule, with a colleague depending on me for a ride. I needed 60 pages of color (mixed text and graphics), and I had only minutes to print the pages before leaving my home office and making my appointed time for the pick-up. Quite frankly, this seemingly risky schedule, was not really so accidental, as I knew I had a very fast printer that I could use. And so, within the time it took to click “OK” on the print dialog box, which issued the command to print the 60 pages, and move from my upstairs laptop to my downstairs office printer, those 60 printed sheets were peacefully waiting for me on the Memjet printer’s output tray. On a side note, the prototype printer I am testing is not always quiet, as the ink-management system involved in keeping the page-wide print head ready to go at 60 ppm requires quite a bit of hydraulic magic—even seemingly on an intermittent basis while idle—but the company assures me they are working to minimize the noise. Size-wise, all the fluid and paper movement clearly requires an industrial design that at first look seems quite a bit larger and more substantial than the commonly seen low-end ink jets and lasers of today. A closer look, however, reveals this size issue to be more in reference to the printer’s overall mass (height, weight, and depth) rather than its footprint. In terms of desk space, my HP Officejet Pro 8000 takes up nearly the same square footage. Finally, although supplies cost are not my concern at this point, the company has stated that the average cost per page will be half that of a typical ink jet or color laser printer (see above for target per-page costs of the Memjet-based Lenovo RJ600N). Of course, speed is not the only consideration, but it is the main focus of Memjet’s promotional materials (see below). The printer’s 60 ppm performance, whether viewed via the company’s many videos, but especially in person, is almost other-worldly. However, given that HP OfficeJets (including one I have been using for several years now) have a rating of 30+ ppm, is a doubling of that speed combined with a potential halving of the supplies cost going to transform the home- and office-printing market? My answer is a big “yes,” at least for situations like the morning when I needed a big stack of handouts in a hurry. Granted the raw (theoretical) speed comparisons indicate only a minute’s time-savings, but setup and processing time and the variability of print speed among competitive printers based on the content of the page should also be factored into the equation. The Memjet printer roars through all pages with the same gusto, and as can be seen from the comparison videos, others do not. The reality, based on my recent experience with the Memjet and in the past with myriad inkjet and laser printers from other suppliers, is that the 2:1 theoretical performance improvement could actually net out at something more like 10:1. And what if I needed 600 pages and not just 60 pages? Regardless, the fact that the necessary pages appeared almost instantly made a big difference in my day. Thus we near the end of my Memjet observations, and I cannot end without offering a little marketing, specifically product positioning, advice that applies to Memjet and its partners, and equally well to everyone else in our industry: Understand and stress the unique benefits of your technology, target those customers who will appreciate and reward you for those benefits, and try to remember the features are just enablers to deliver those benefits. Regular readers will know I devote quite a bit of time and energy these days to teaching university-level marketing, and in actuality, devote even more time and energy in thinking about marketing and related subjects. After consulting the experts, here’s what perhaps the world’s most consulted marketing text (Kotler & Armstrong, 9th edition, “Marketing: An Introduction,” 2009, Prentice-Hall) says about putting benefits into market positioning. So Memjet (and partners), who are the buyers that value knocking out reasonably large volumes of color pages in rapid fashion? The team at Memjet includes marketing pros who are top-notch thinkers and practitioners, so none of this analysis is new to them, but I cannot resist reinforcing the idea that finding enough of those users and communicating the benefits of print speed will go a long way toward success for Memjet and its go-to-market partners – by no means an easy challenge, but one worth pursuing nonetheless.